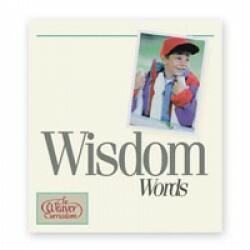 Wisdom Words is a complete grammar and composition course for K-6, which uses the Bible for its model. Color-coded by grade, like Weaver Volumes, it builds one skill upon another. Wisdom Words does not use made-up sentences. Instead it uses the child's own words and writing, to which the objectives and activities are applied.